You'll want a unique resume template if you aim to stand out in a sea of candidates. Everyone else will be using generic black and white resumes straight out of the text processor, but not you! Together with Luiza, my witty and weird workmate, we set out in search of the most exceptional resume templates out there. Some are ours, some aren’t, but all of them are truly unique resume templates. Over a dozen unique resume template examples better than 9 out of 10 other resumes. One-of-a-kind templates for resumes ready to download and use right away. Resume templates full of unique characteristics and sections so you’ll stand out. 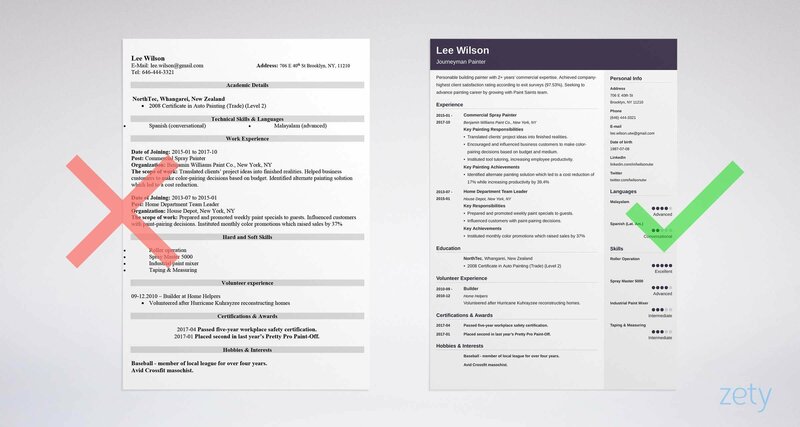 Cubic is one of our takes on unique resume layouts and design, and we like to think we did this one right. With a three-tone background depending on the section, different areas of your resume stand out easily from each other. The top header is reserved just for your name and title for you to stand out, and the background color also sets the tone for the accent color later in the document. A right-hand sidebar switches it up from the many left-side ones out there. Filled-in circles for your languages and skills allow you to showcase your expertise in style. Cubic is included when you create a resume in our builder, along with many others. White Graphic has created a complete package centered around this professional and peerless 3-page resume template. Paired with a bunch of free resume fonts and icons to use with it, this resume surely gives you all the tools and space you need to express yourself. You'll be certain to ace the interview with this one! Here’s the link to this template on Creative Market, and it includes a cover letter template and an icon package, all available to download for Microsoft Word or Adobe’s Photoshop. Nhung Nguyen’s “Modern CV Template” is a watercolor template ready for painter resumes, designers, artists, or other creative types. The paint splotches on the top left and bottom right really give it an unfinished, artistic feel. To top it off, each section is easy to find and unique from each other. Fay Zodiac’s “Free Resume Template” is a matchless monochromatic masterpiece. With a hand-drawn, stenciled appearance, this resume will definitely make the hiring manager impressed. Each resume section is easy to locate, with a border all around and a subtitle that has adjacent, diagonal striping. 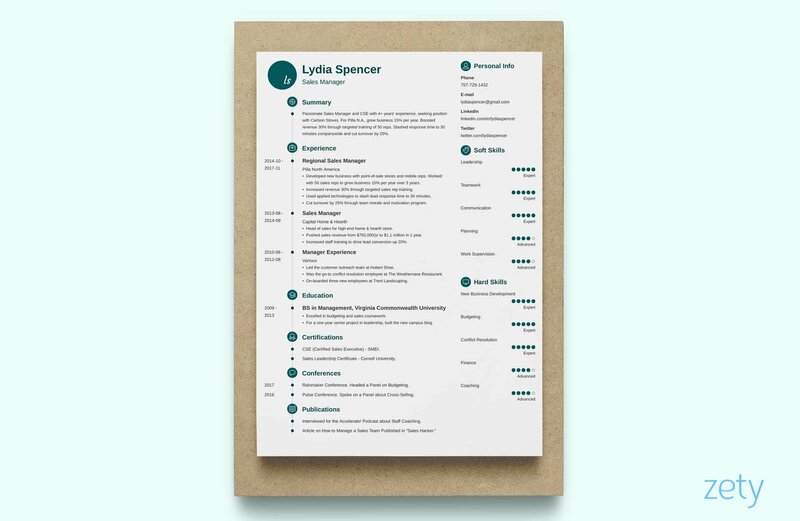 Coming from Graphic Google, the “Free Simple & Elegant Resume Template” is pleasing to the eye in an organic way, with its earthy, pastel colors and minimal black or white. Those colors separate different sections, but they chose well—they don’t create an eyesore as many other documents of multiple colors might. Primo is another one of ours, and we consider it a pretty distinctive resume template in its own right. Seems like another standard resume. However, if you look closely, this resume template has several unique features and attributes. A right-hand sidebar switches it up from the many left-side ones we’ve shown previously. Filled-in circles for your languages and skills, icons for each resume section, and a timeline format for your education and experience sections really help you to stand out. Primo is included when you create a resume in our builder, along with many others. Tolgahan Yurtseven’s “FREE Resume Template + Icons” on Behance throws rules out the window—you can switch back and forth between having a full-width area or split it for a two- or three-column resume layout, depending on whether you want to list items horizontally or vertically. The header area allows you to add an artistic background image to frame your contact details. Your education and work experience section is given a timeline appearance to show career and academic progression. Icons near the footer show instead of tell your hobbies and interests. Here’s the link to this exceptional resume template download for Adobe Illustrator and Adobe Photoshop at Behance. Krystian Kubicki’s “CV/Resume project” on Behance is just gorgeous. A subdued, trianglified background allows your skills and achievements to stand out. A perfect resume-with-photo layout, the large half-profile taking up the left side really makes this one incomparable. His choice of icons and circle graphs make this one second to none. The folks over at Etsy’s Freestyle Templates give us their “Pink Resume Template.” It’s quite a modern resume design, with its interweaved gray and pink blocks for the various resume sections. The skills area has an adjustable bar graph that let you pinpoint exactly where you think you stand. Here’s the link to this unique template for resumes, available to purchase on Etsy and downloadable for Microsoft Word (.docx). Coreena Cole posted some fun and creative resumes over on her Behance profile. This particular resume template has a brochure layout (horizontal), but she includes a vertical resume version, as well. Making light use of color variations, Coreena’s unique resume template makes things pop with primary school colors without skimping on the story. Here’s the link to this colorful resume template to use and edit with Microsoft Word. “Resume Template 3 Page | CV Template” by the Template Depot over at Creative Market is a tasteful, minimalistic resume design. Different resume sections are represented with various widths, some full-width, some half-width, and more. Here’s the link to this unique resume template, which comes with 2 pages, a cover letter template (see our cover letter tips), an icon pack, and more. Julia at Bungalow Creative on Etsy brings us this eye-catching resume template. Simple and clean, the header holds just your name and professional title (and address on the cover letter template to match), followed by a simple leaf pattern strip before the recruiter’s eyes get to the good stuff. Here’s the link to this one-of-a-kind resume template on Etsy, available as a download for Microsoft Word and Adobe Photoshop. Nhung Dvove and Chic Templates have created a resume template without equal with this beauty. With a gorgeous, pink watercolor paint splotch right in the center that frames your resume summary or objective, the hiring manager’s gaze knows where to focus immediately. Here’s the link to this unique template for resumes that you can find on Etsy. The package includes a resume template, cover letter template, and a references page template, all in both Microsoft Word .docx and Pages .pages formats. White Graphic’s “Professional Resume 4 Pages” is a complete resume package, with a two-page resume template, a reference page template, and a cover letter template, all with matching layouts. Its good design is most prominent in the skills and education section, which resembles a modern table of three columns. Here’s the link to this standout template on Creative Market, which includes a free download of 30 different icons for use on your professional resume. Lam Lu’s “Self Identity” project on Behance is one of the best personal infographics we’ve seen. A pleasant, blue-and-orange color scheme, dozens of icons and charts, and an area of convergence in the center which ties everything together—what more can you ask for? It’d make a nice visual resume template to fill in and send to the hiring manager, or a great placemat to read at your next dinner party. You’re competing against dozens—if not hundreds—of other applicants for one dream position. You’ve got to be unique. Take the time to find and customize your own unique resume template. 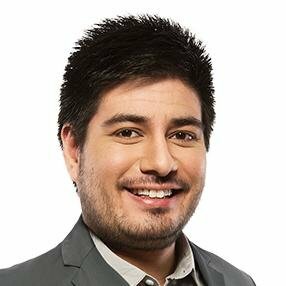 Do you have any questions on how to write a unique resume? Not sure how to describe your skills or achievements to make a resume template without equal? Give us a shout in the comments below and we will answer your question. Thanks for reading!